Living Sq. Ft. : 3065 s.f. Total Sq. Ft. : 4979 s.f. 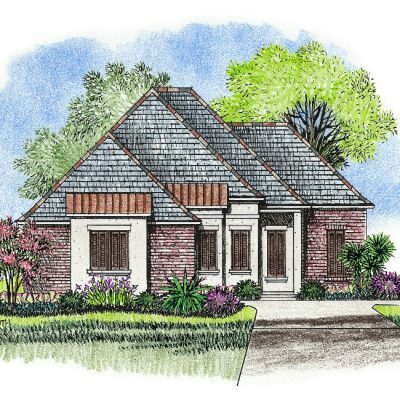 Acadian mixed with stunning country french details, the Gomez plan is sure to have what you are looking for in a spacious Louisiana Home Design. 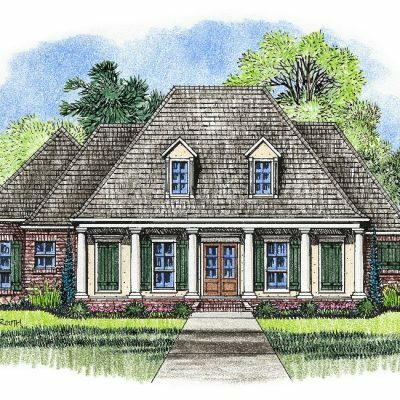 On the outside you will be greeted with a wide double, wooden door with an arched transom above. Your front porch is lined with 6 forward facing pillars with 3 lovely dormers above. Entering from the front door, you will be in your foyer looking toward the family room with your staircase just to the right. Your family room is 20′ x 21′, making it very spacious and inviting. Open to the family room is a dinning area and then your large kitchen with a nice size island with a bar. Out the back of the home you will find a nice rear porch with a built in outdoor kitchen area. 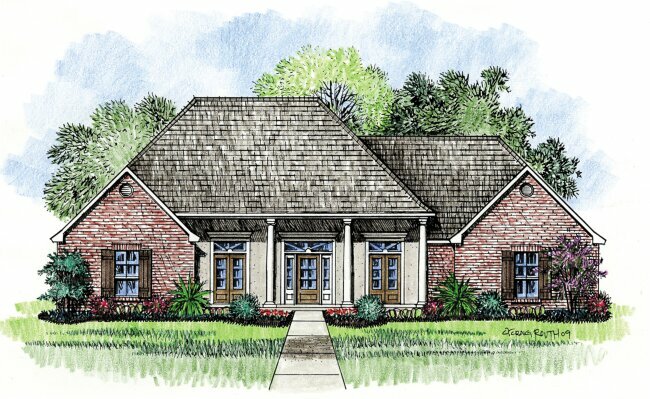 Towards the garage, you will find a powder room / half bath for guests and then a good size 2 car garage. 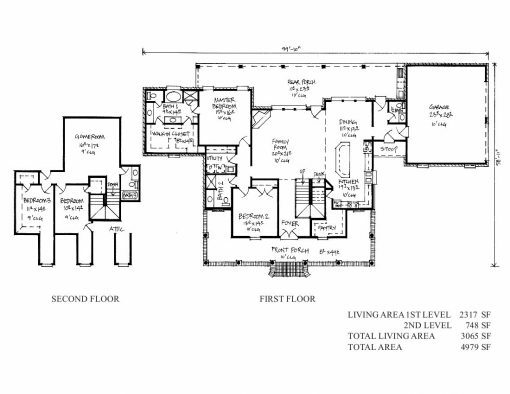 The master bedroom is on the main floor with a spacious walk-in closet and bath with shower and tub. Your laundry room is just off the master for easy access. 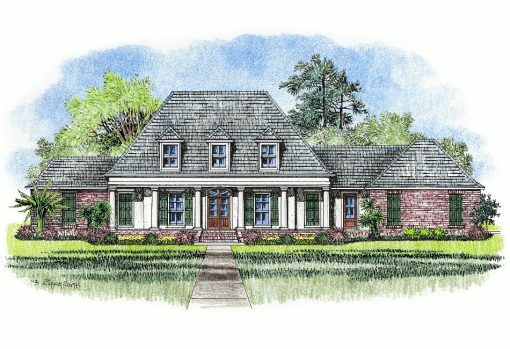 At the front of this Acadian style plan, you will find the second bedroom with a convenient bath adjacent to it. 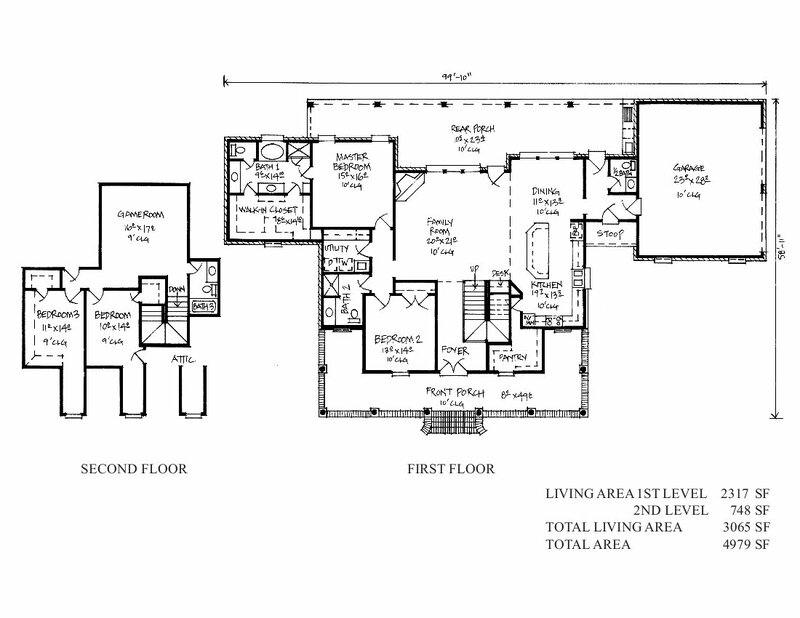 Progressing up your open staircase, you will come into a huge 16′ x 17′ game room, perfect for your family to relax in. Off the game room are 2 good size bedrooms each with a dormer nook and 9 foot ceilings. Off one bedroom is access to some attic storage space. Also upstairs, you will find a full bath. 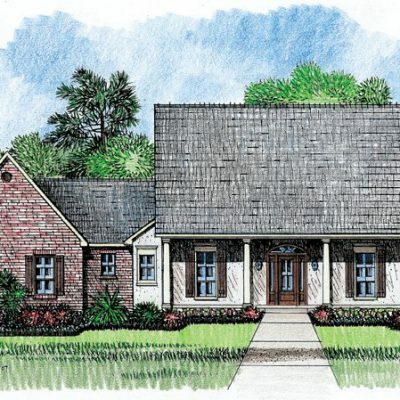 This home has everything you need in a 3000 sq ft home.